I’m Bob Gordon, I’ve been a Realtor since 1995 and am committed to going above and beyond in service to my clients and friends. 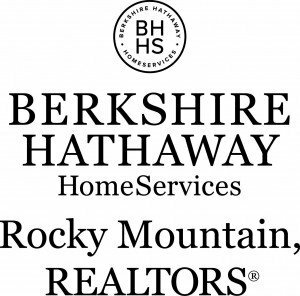 I assist and educate clients in Boulder How to buy a house as well as selling real real estate. I’ve sold a number of houses in my career, though always find it is about the people. Small secret: the interaction with amazing people is what I love about my career in Boulder real estate. So I go above and beyond, working to have the best training on a regular basis so I can consistently deliver the top quality results clients have come to expect in the Boulder housing market. I’m going to get your house sold quickly for top dollar, hassle free. One of my goals for every transaction: Happy Clients at closing. So what sets me, Realtor Bob Gordon, apart? It starts with solid communication. When you buy or list your Boulder house for sale with me, you can count on timely, personal communication. I’ll also be sure to keep you in every email conversation, so you’ll be up to date on the status of your house and the sales contract. I’m a decent listener, and this is important. I work for you. I’m going to focus on a stress free transaction, react speedily to your requests and keep you very well informed from start to finish in the Boulder County condos home for sale /Sold process. Bob Gordon combines an excellent knowledge of the local market with good negotiating skills. Technology is an important tool, and having the latest technology lets me do what I’m passionate about more effectively – helping home owners just like you place your real estate for sale and get it sold quickly, for top dollar, hassle free. I have an excellent list of service providers to assist you during and after the transaction. Each year I take additional education courses to stay abreast of the latest trends in real estate. Straight forward assistance, honest communication and easy accessibility are all cornerstones of my real estate practice. It would be an honor to serve you, your family and friends. I have business references on Linked In, Trulia and Zillow.